Inspiration: Nobody likes going to the doctor. It’s boring, time consuming, and let's be honest, doctors’ offices always smell a bit funny. With MedSweet, we hope to eliminate that painful process. Imagine you wake up one morning with some odd swelling and pain in your left arm. Really, you are only left with two choices. You can either ignore it and hope it’s nothing serious, or you could figure out what type of doctor to see, and more importantly, which of those specialists is best for you. Once you get that initial appointment you will have to spend time exchanging information that you unfortunately exchange at every doctor appointment. It is only after all of this time that you finally sit down with the doctor and learn either A) you wasted your time - there is no medicine available and only cure is time, or B) you have to return in the future for a follow-up appointment. Yuck. What It Does: With MedSweet, everything is centralized. 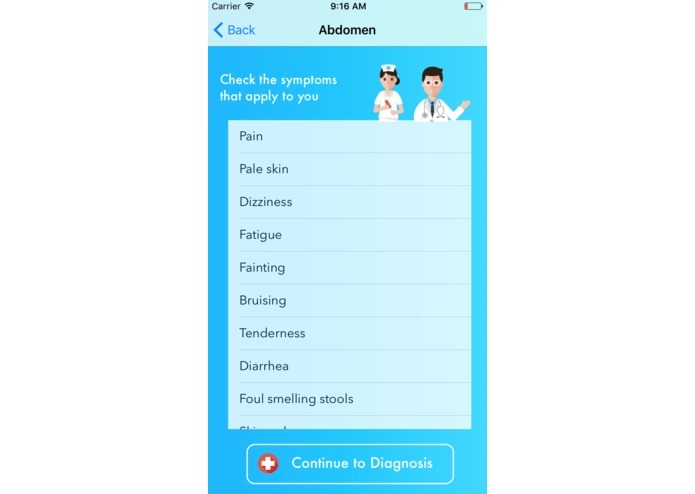 The app allows you to diagnose your illness and then give you immediate access to the correct type of doctor though the app. 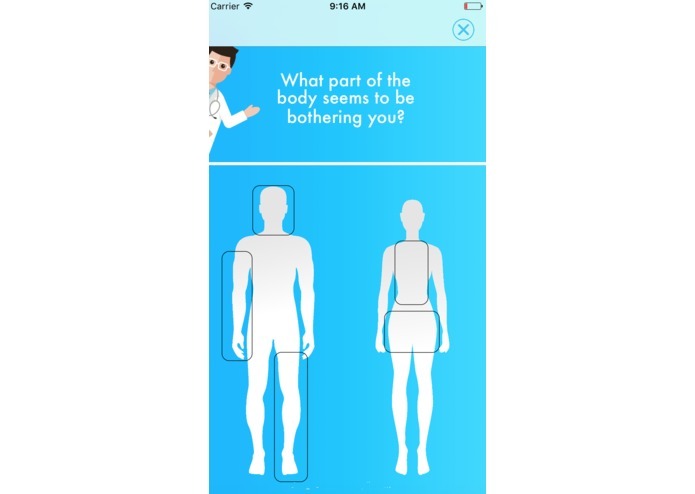 You will be able to have that first meeting with the doctor from the comfort of your home without all the hassle and wasted time. 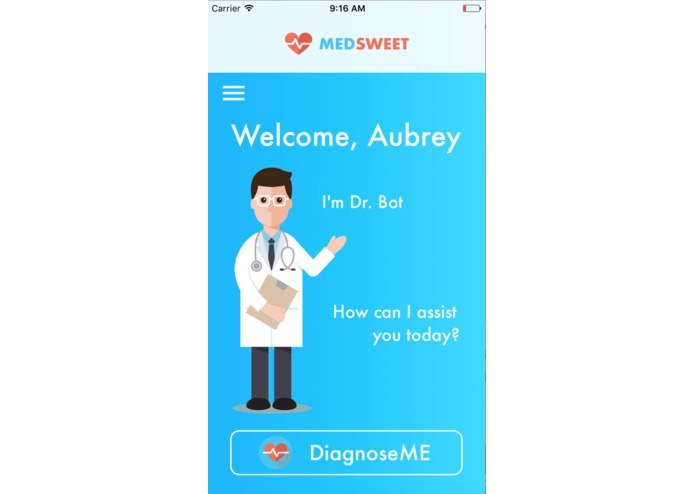 The doctor will have access to MedSweet’s diagnosis, your insurance information, and your medical history in order to advise you. 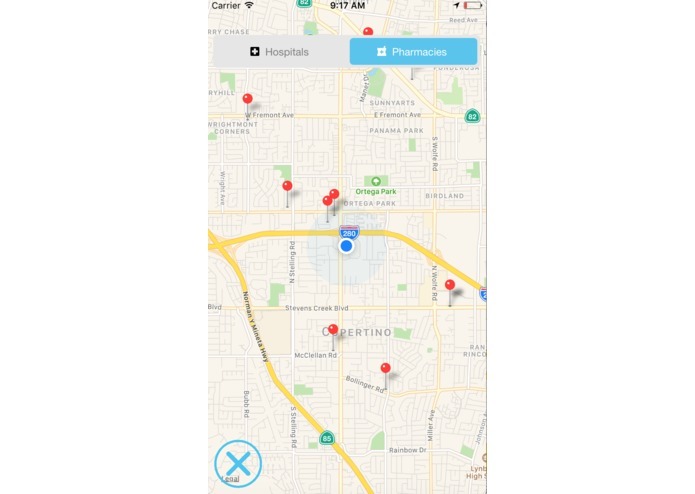 MedSweet also allows you to view nearby specialists and pharmacies, along with user ratings so you can decide what’s best for you. Accomplishments We're Proud Of: Creating a working product from scratch with just an idea and 36 hours of coding (let's be honest, that's insane!). What's Next For MedSweet: We look forward to continuing to improve our algorithm to make it more efficient for large data sets. We are also looking to implement a Stripe API to allow users to pay within the app. 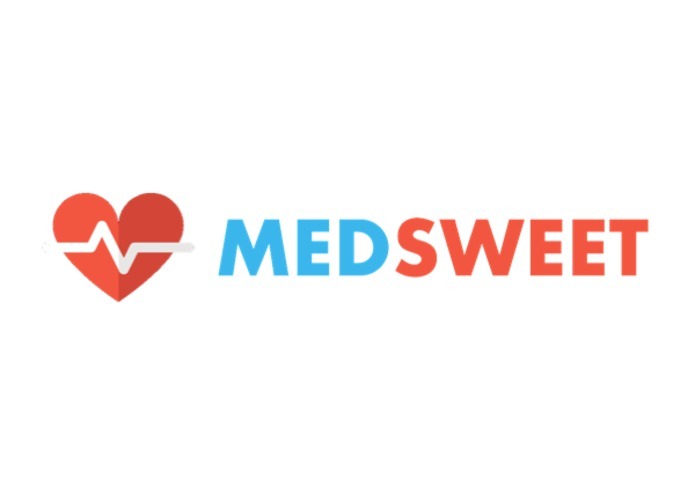 From a business perspective, MedSweet hopes to be able to fund itself by charging insurance companies for its connection service. We believe that insurance companies will be incentivised to use MedSweet because they will save money from the improvement of the healthcare industry.